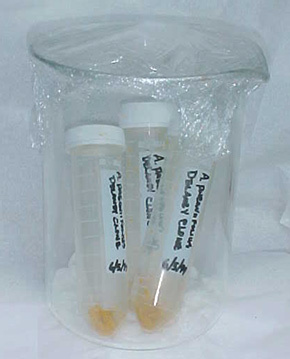 Here the vessels of dry A. paeoniifolius pollen are stored losely capped in a plastic film covered beaker containing a moist paper towel to maintain high humidity during refrigeration. This page was created by Scott Hyndman for the I.A.S. on January 7, 2001.